In Volume 2 of our coverage of the Montana Rail Link, we follow the railroad's mainline from Helena, Montana to Sandpoint, Idaho, over the MRL's 3rd and 4th Subdivisions. In addition to the mainline, the 9th and 10th Subdivisions are also covered. On the 3rd Sub, trains are seen as they negotiate the steep grades and tight curves of Mullan Pass. This is true mountain railroading, and MRL puts on an impressive show. We visit Missoula, and then take a quick tour of the 9th Subdivision, also known as the Darby or Bitterroot Branch. From DeSmet, we follow the 10th Subdivision to Paradise. The 10th Sub is home to Evaro Hill, and features some incredible scenery along the Flathead River. Next, we head back to DeSmet to cover the 4th Subdivision to Sandpoint, Idaho. Following the course of the Clark Fork River in western Montana, the 4th Sub is nothing short of spectacular. Near the far west end of the MRL, trains are seen as they travel along the pristine waters of Lake Pend Oreille, one of the most beautiful lakes Idaho has to offer. 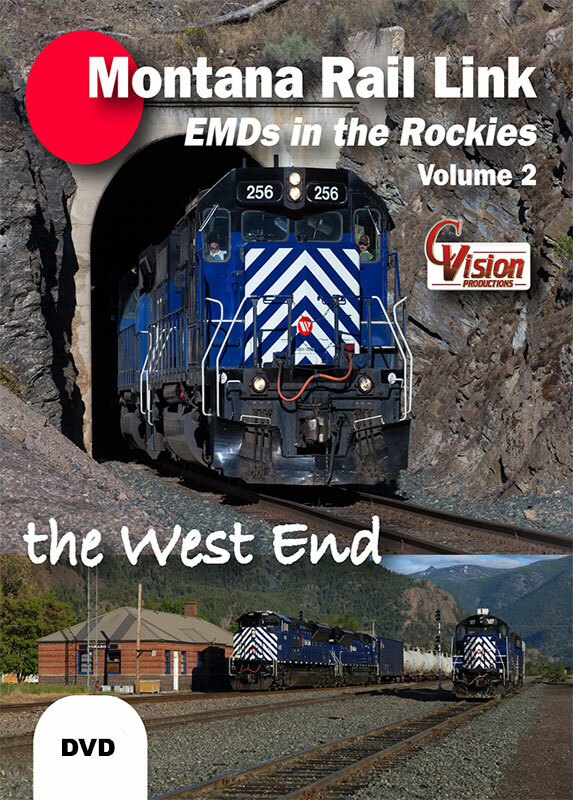 Along with MRL's LM and ML trains, we also cover the railroad's west end local operations. The Darby, Paradise, and Gas Locals are all seen as they go about their assigned chores. MRL's fleet of blue EMDs has never looked better, and you'll enjoy seeing these units operating through some of the most scenic landscapes in the region. BNSF powered trains are also viewed, as they travel across the MRL system. 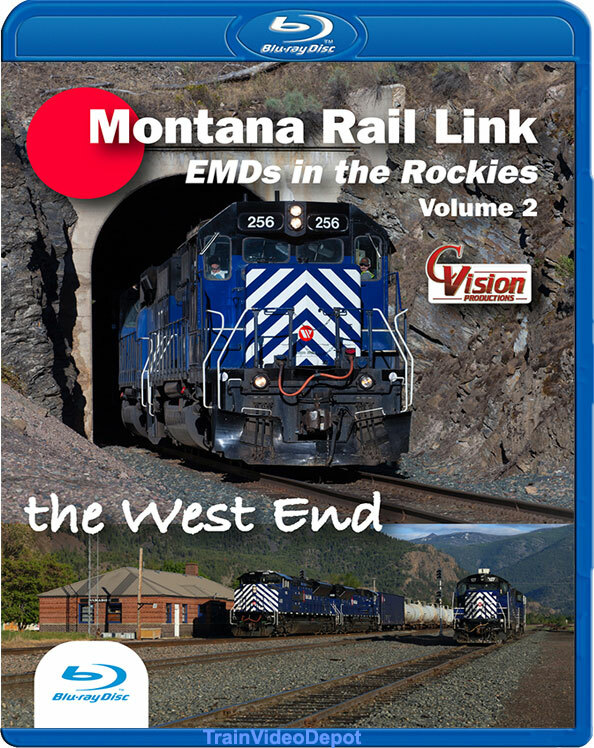 Come along with C. Vision Productions, as we tour the western portion of this fascinating railroad, in "Montana Rail Link, EMDs in the Rockies, Volume 2, the West End�. chris collins (fletcher north carolina) on 2019-01-06 19:26:09.
mySP7377 (San Diego CA US) on 2016-12-26 15:02:48. After getting the first volume I couldn't wait to get the second volume. In volume two the scenery gets more spectacular the photography, train action, maps and narration are fantastic, I got a Blu-Ray copy and the image quality is excellent...Great coverage of the MRL gas trains and lots of interesting lash ups, SD45's running with SD70ACe's where else can one see that. The MRL is keeping these SD45's in great condition and its nice to see a solid lash ups of them pulling all kinds of trains.